After discovering Jack had started teething quite early the dribble was just unbearable. It was making Jack's neck really sore and resulting in many outfit changes, especially t-shirts; respectively increasing my washing load. 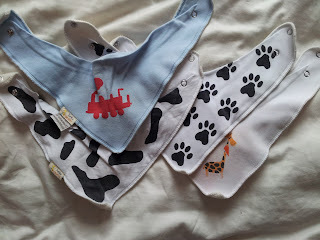 However I was attending the Brmingham Baby Show the next week so decided I would look for some dribble bibs there as I had heard they were very good. After searching all the stores, I decided to settle for Funky Giraffe Bibs. Not only did they have the better deal for multi-buy but they also had so much choice. Various patterns for both boys and girls; Jack and I were spoilt for choice. 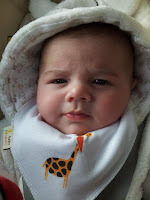 Funky Giraffe Bibs were established in 2009 by a sucessful fashion designer who became a first time mummy. She wanted to create a bib that was fashionable at the same time as being affordable, practical and comfortable. 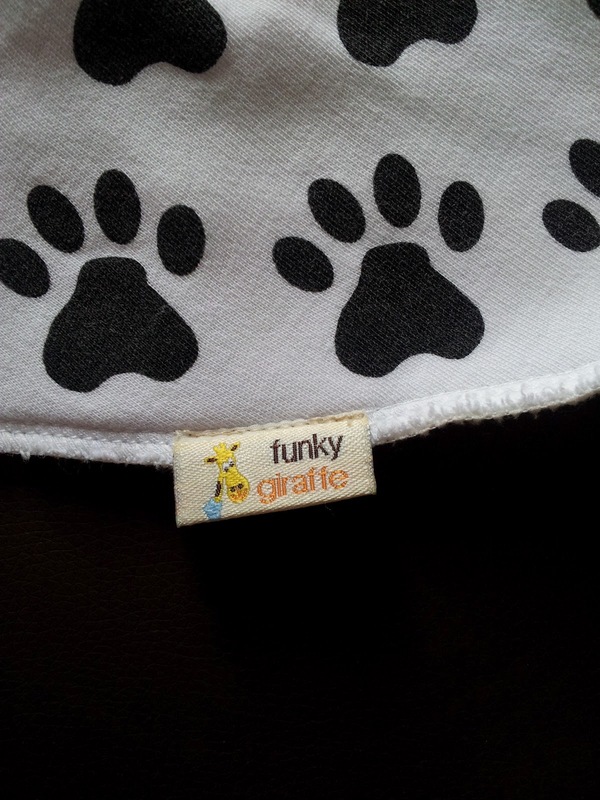 So, with Funky Giraffe being most affordable and having the most choice, my friend and I both brought 6 each. However, I wasn't too sure how these stylish bibs would handle a lot of dribble and washing and still eventually look as good as they did upon purchasing. The bibs are really well made, with excellent stitching and no glitches. They have the cotton at the front with the wonderful, bright designs on. 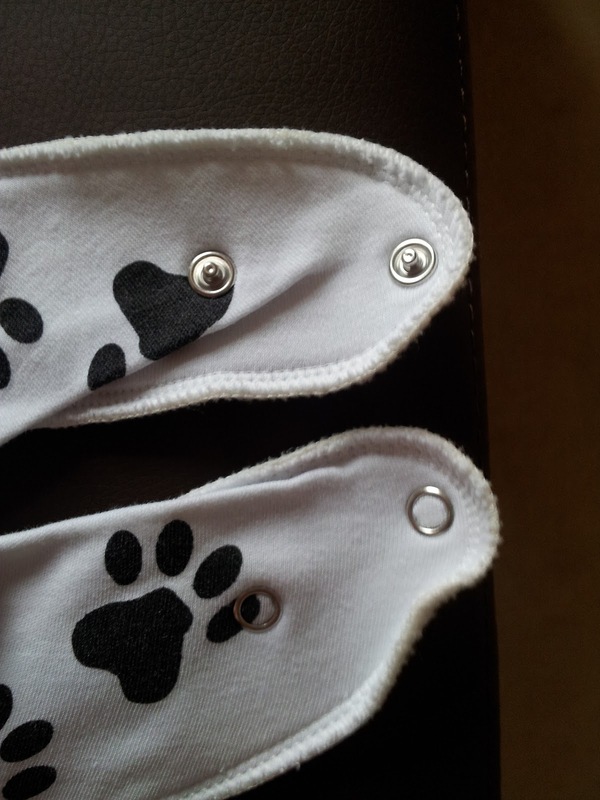 At the rear is a fleece lining which helps absorb the dribble saving babies clothes and also two poppers. 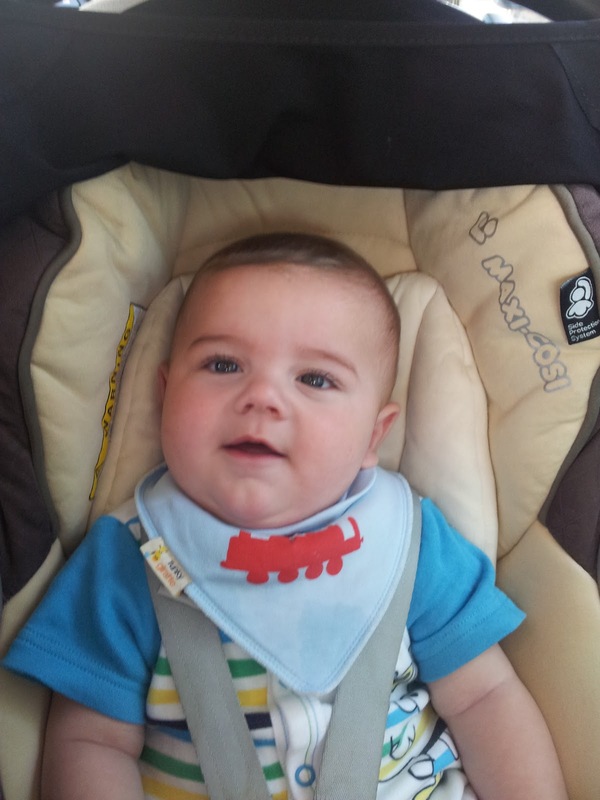 With the poppers the bibs fit three different sizes, meaning they can grow with your baby. My bibs have now been through the washer more times than I can imagine and still look as good as the day I purchased them. 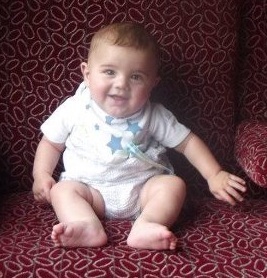 They are a really sytlish add to Jack's outfits and save so many outfit changes and cream for his sore neck. There are so many different designs there is a bib for every outfit. 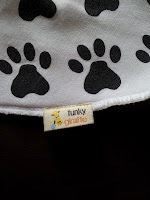 I really recommended these to any parent's with teething or just dribbly babies. 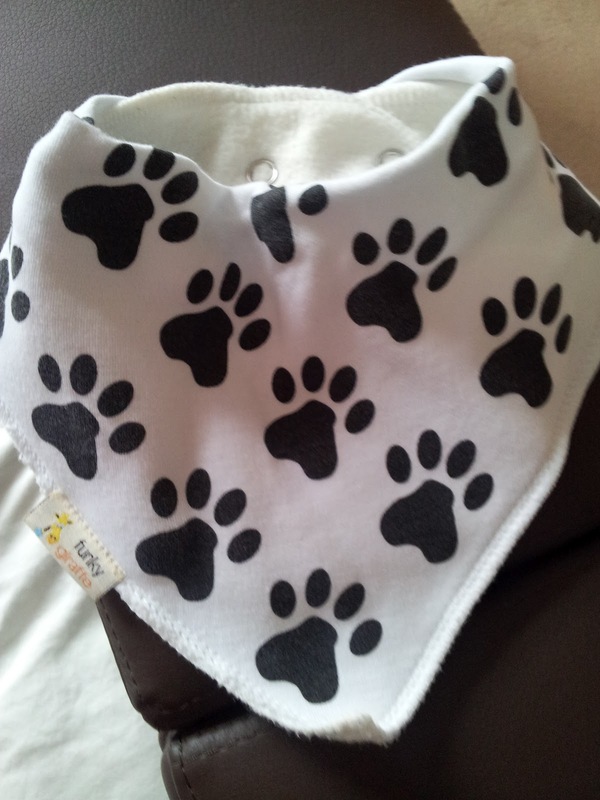 These bibs retail at £4.00 each but the more you buy the cheaper they become. Each additional bib after 10 is £1.90 each.